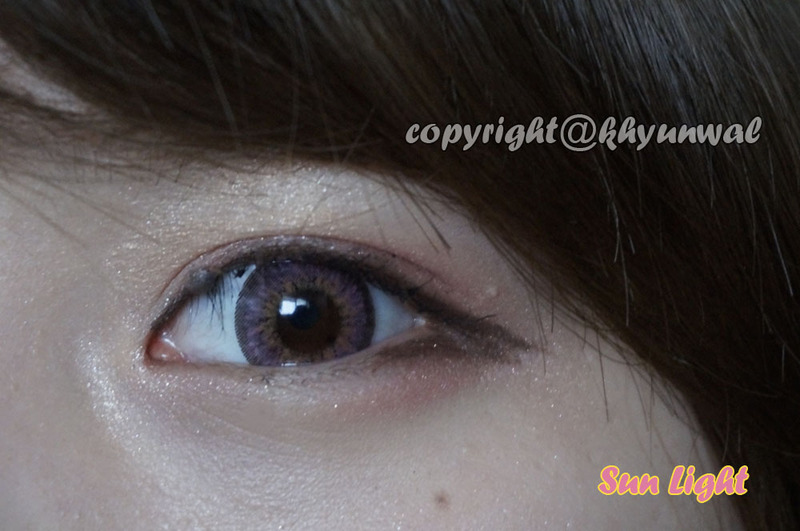 But if you guys are not familiar with PinkyParadise, they are one of the biggest Circle Lens website, that has almost all major Korean circle lenses. 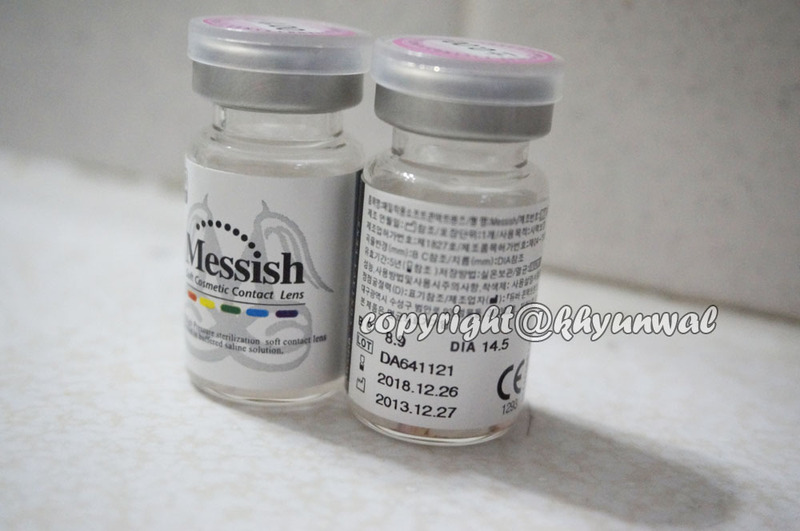 Not only that they also have, eye care product such as eye drops, and adorable contact lens cases! 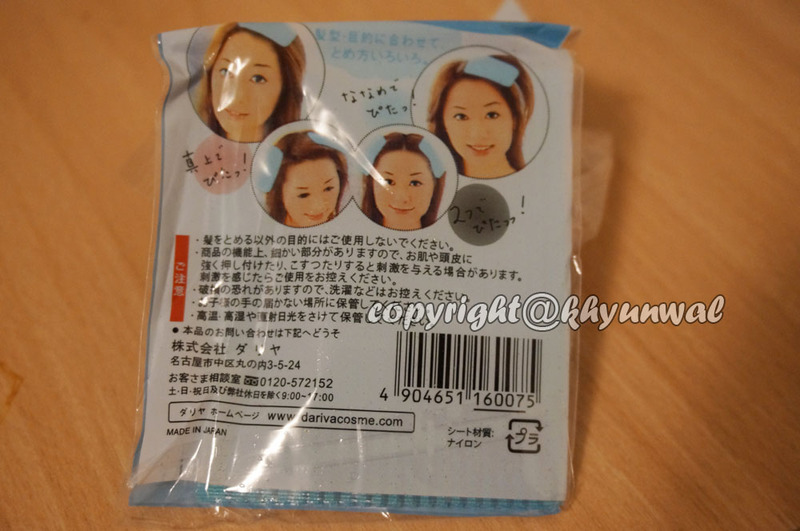 And not just the lens related items, they also sell cosmetic stuff such as facial mask, false eyelashes, BB cream and etc! You can find variety of Asian beauty product on there, so it is must see!! 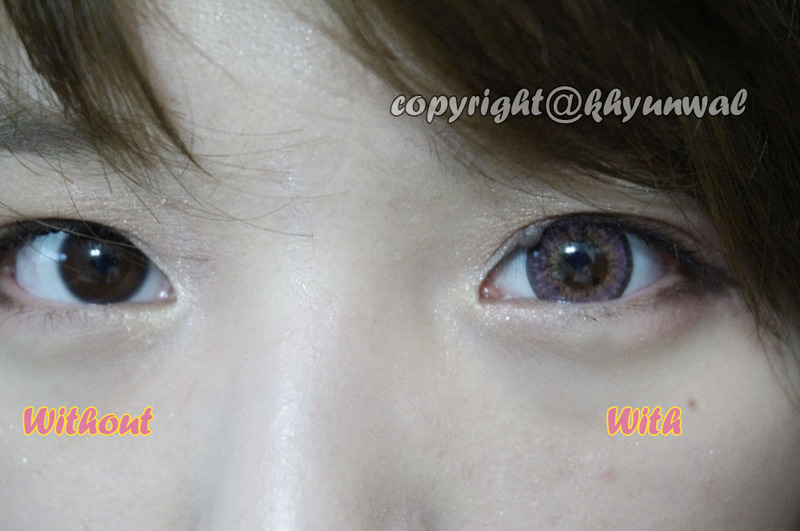 Anyhow, when PinkyParadise said they will send me free pair of circle lens in my choice, I thought I should try some more Pink lens~! After 2 weeks of waiting, my package from PinkyParadise finally came!! I also got this free gift with it. I am just really amazed with how they read my mind, cause I have been wanting to purchase more of fringe holder, but never got around it! 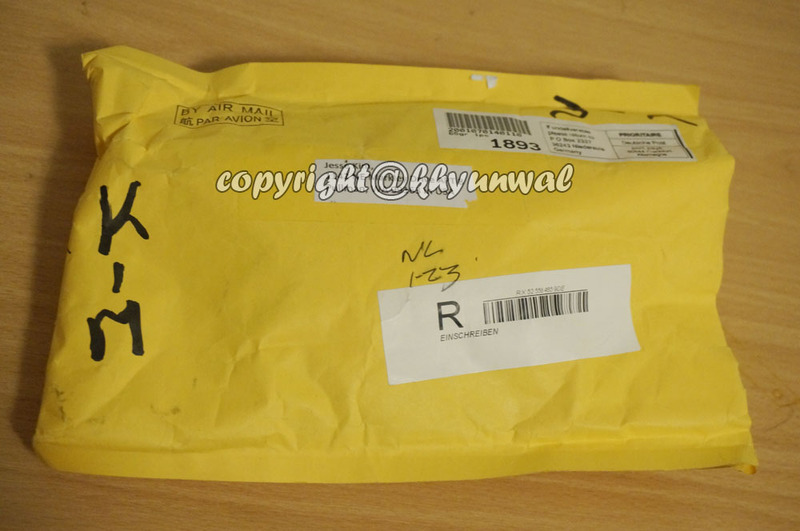 And there it is when I opened my package, I got this~!! 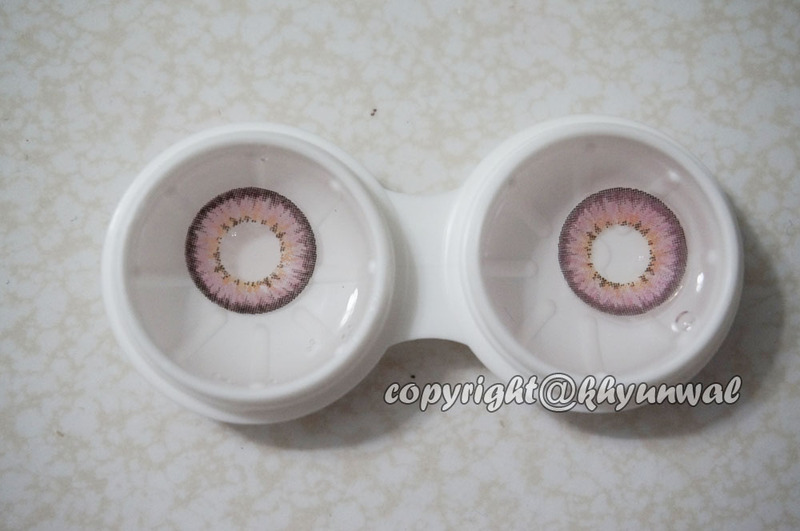 But if you see it closer, you can actually see that the outer ring actually look purplish color when its inside out! Comfort, must have to get the perfect score, because to check out the comfort level, I actually wore it to work for 9 straight hours. Even though I did use eye drops couple time, but it actually felt really moist and felt comfortable for a long time of wearing! Hula Effect, gets perfect score too, because the lens stayed on where it is supposed to be! Doughnut Effect, I do see some Doughnut effect occurs when I move around my eyes exaggerated. 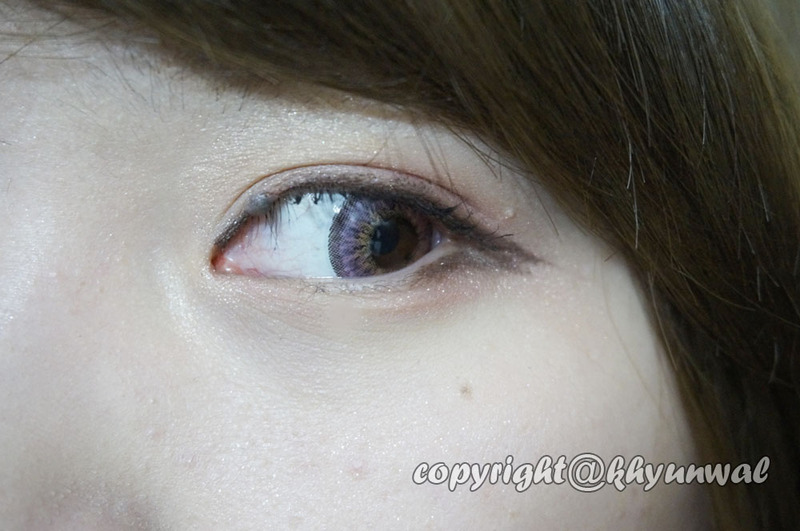 However, because print of the lens is very vivid, it is barely noticeable, so I give perfect score. Color / Design, was absolutely amazing. 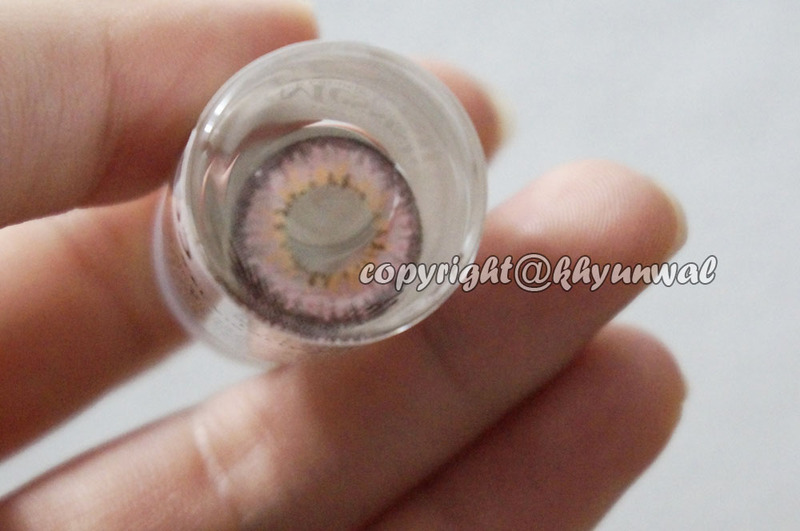 This lens has that blooming flower-like design with yellow inner design. 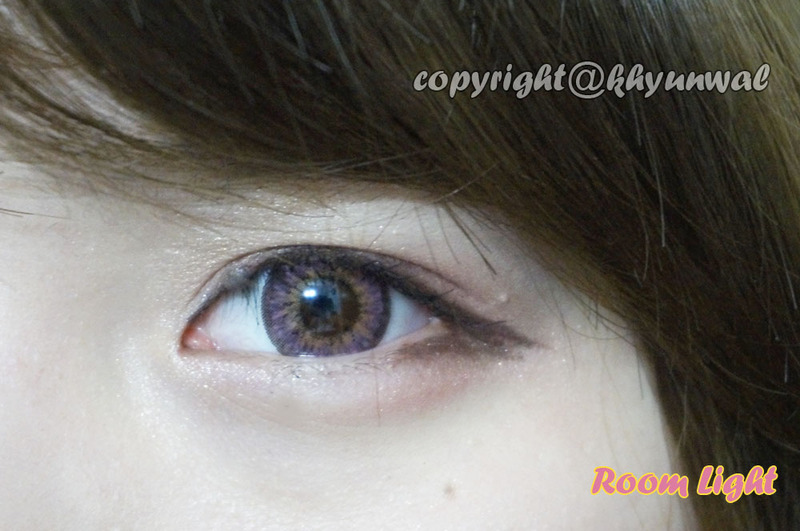 And not only that, the color is actually vivid, even on dark eyes! This lens goes really well with pink color make up! 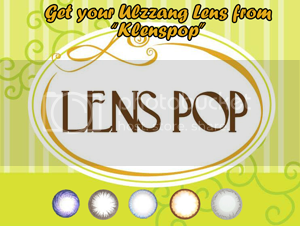 Enlargement, gets perfect score as well, because even though the outer ring is quite thing, it did its job with making your eyes look big! 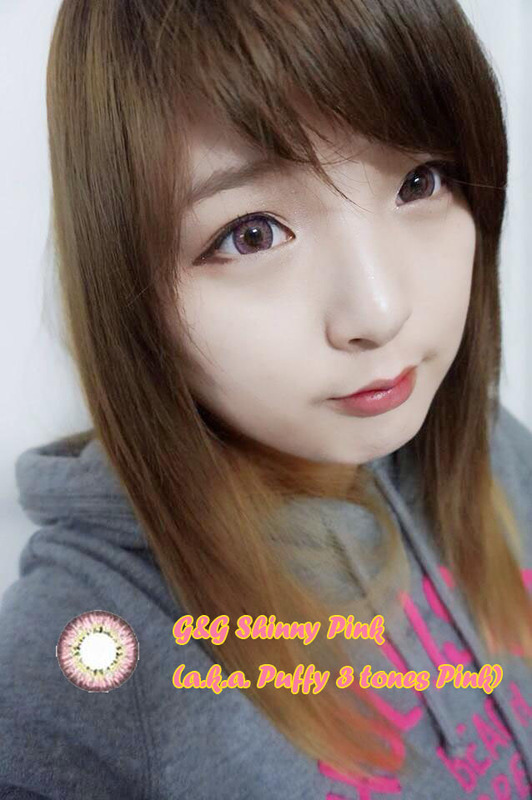 If you guys liked my review, go grab your pair of G&G Shinny Pink today~! And if you guys enter "khyunwal" in coupon code area, when you are purchasing from PinkyParadise, along with your purchase you will be getting a mystery gift with it! So remember to put the code in, to get your gift! Thanks for the clear up!~ I'm fairly new to circle lenses myself (like, last summer or something), and don't wear them on a regular basis haha.